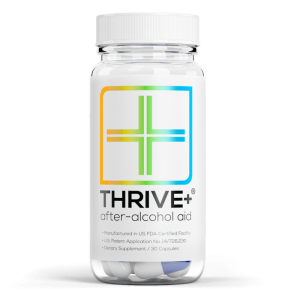 The Thrive+ After Alcohol Aid is a supplement you can take to reduce the effects of alcohol. It is made with natural ingredients and it includes a blend of electrolytes, vitamins and antioxidants to help the liver recover and protect it against damage from alcohol. Made with a tablet formulation, it is one of the best solutions when it comes to practicality. 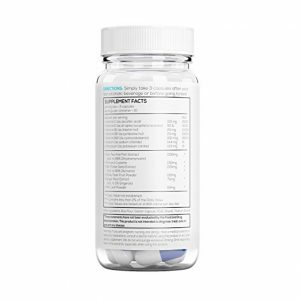 The recommended dose includes up to 3 tablets every day. Featured on Shark Tank, the supplement offers a real solution when it comes to protection and helping the liver recover. The product is made to offer you a relief form the negative effects of alcohol consumption. To see the result the manufacturer claims you need you will have to take the supplements before bed. This also means that you need to follow a simple routine after drinking too much alcohol and you will need to take up to 3 pills of the supplement. One of the drawbacks of the supplement comes with its limitation in timely response and this is why it will only act overnight. But if you want to be fresh and ready to work after a night out drinking, it represents a solution which is easy to use. Even more, it can also be one of the leading options when it comes to better health. Thus, with its blend of antioxidants, minerals and vitamins, it represents a good solution to improve your metabolism. The antioxidants will act to fight the oxidative stress and they can also be a good solution to further protect the liver. Together with plant extracts such as ginger or Prickly Pear, the supplement aims to also protect the stomach. This means that you may feel better and with reduced nausea feeling, you should be able to recover quicker. Even more, the extracts can also boost the metabolism with energy and you can take it in the evening to wake up fresher. With vitamins B, C and E, the pills represent a good solution when it comes to replenishing your own vitamins you lose during drinking. Even more, these vitamins also play a role in energy levels and focus. Vitamin C can also boost the absorption of the other ingredients in the product and this is why it is worth choosing the options which allow you to see the best overall results in terms of health. Furthermore, it is important to ensure you actually drink enough water. This is important as it will help the pills digest better. But water will also improve your hydration levels which can drop significantly with excessive alcohol. Even more, it is important to know that you can benefit from the electrolytes in the supplement which can boost the hydration process and which can provide the needed support for your muscles to recover and function at a normal or at an improved rate the next morning.